Amid growing differences between the JD-U and BJP over continuing spate of communal violence in Bihar, chief minister Nitish Kumar is frequently suggested by parties to break away from the NDA and return to the Grand Alliance (GA). Two parties, the Congress and the Hindustani Awam Morcha (HAM) have extended open invitations to Kumar to join the GA. In the past two days, at least two top Congress leaders, Bihar unit chief Qaukab Qadari and Congress Legislature Party (CLP) leader Sadanand Singh have extended open offers to Kumar to be part of the GA once again, leading to political speculations. “The BJP has been constantly trying to disturb communal peace in the state. Time has now come for the chief minister to take a bold decision to save Bihar,” Qaradi said adding the chief minister should dump the “communal forces” and join the secular group. According to Qadari, Kumar had quit the NDA over the issue of “corruption” but had also said he won’t compromise over the issue of “communal harmony”. “Kumar’s second objective doesn’t appear to be achieved given that many parts of the state now reeling under communal tension,” the state Congress chief said. According to him, they would decide about accommodating Kumar in the GA only after he breaks away from NDA. CLP leader Singh too asked the chief minister to seriously reconsider about reconstituting the GA. “We all need to reconstituting the GA in better interests of Bihar now that most part of the state is burning in fire of communal violence. Given this critical situation, the chief minister should reconsider his decision,” Singh said in a written Press statement issued on Friday. At presently, at least nine districts of Bihar are in grip of communal violence. Another constituent of the GA, HAM too has advised the chief minister to return to his old home. “There is nothing like permanent friends or foes in politics. 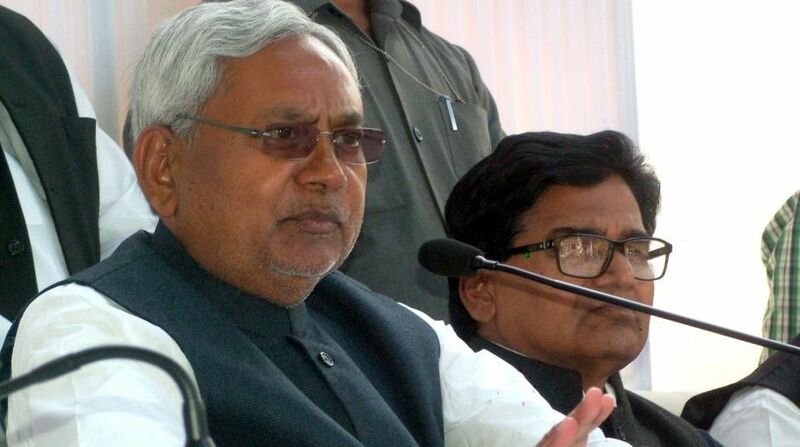 A decision is taken only after assessing the current situation,” HAM chief Jitan Ram Manjhi told newsmen on Friday. Manjhi’s party broke away from the NDA and joined the GA only last month. However, the RJD which is the main opposition party in the state is totally against accommodating Kumar in the GA. “Everyone except Chacha (uncle) is welcome to the GA,” RJD legislator and Bihar opposition leader Tejashwi Yadav told newsmen on Friday, in an oblique reference to Kumar. Tejashwi who was the deputy chief minister in the erstwhile GA government is son of RJD chief Lalu Prasad.